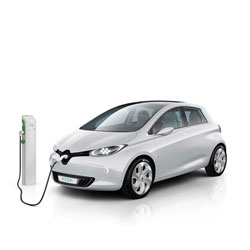 Renault Zoe slips in under the radar; stylish hatch is battery-powered done right. 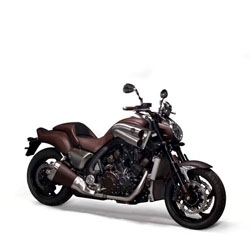 Hermes and Yamaha team up for V-Max concept bike. 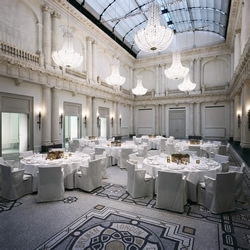 Located in a former bank and with marble columns, original wooden paneling, a stunning roof-top terrace and spa – it’s surprising that the raw, edgy Berlin is only a short walk away from the beautiful Hotel de Rome. 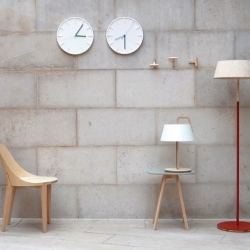 Pottinger + Cole's latest collection launched at London 100% Design last September. Orcadesign showcases 8 design objects inspired by Asian cultural essences in Interieur 2010. Named after the beautiful Pacific Coast Highway, the PCHseries from Mash Studios encompasses the organic and natural feel of the California coast. 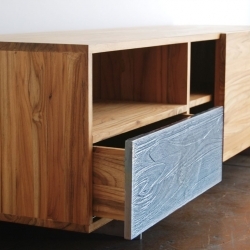 Crafted with FSC-certified solid teak and finished with natural oils. FEATUREDWith a collection of sleek and stylish fashion finds, it has to be Notcouture. 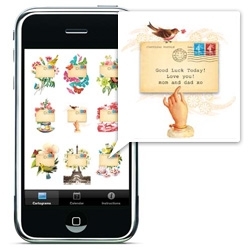 Cartolina iPhone app ~ GORGEOUS! 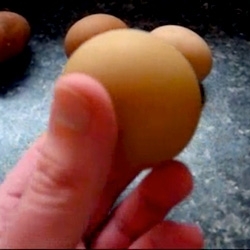 "Lets you send brief but beautiful messages to your friends." 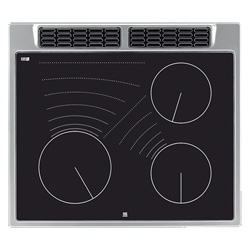 Rex-Electrolux - Piani di Cottura CG631XE - beautiful design of those stove top! 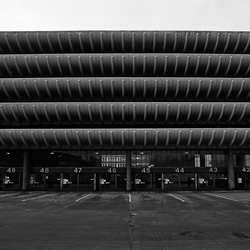 Interactive architecture! 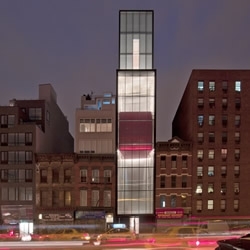 Ten light-based place-sensitive interventions that react to the user. Check 'em all out! Here's Chroma, a reactive facade system from MIT. 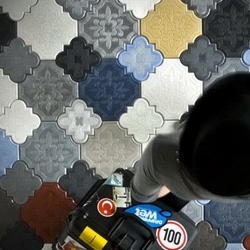 'Camelion' concrete floor tiles by IVANKA Studio. 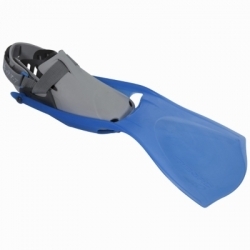 Launched last week at the London Design Festival they are available in any configuration or color. 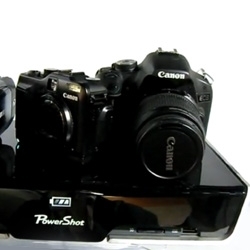 Canon Cross Media Station - canon charger by induction! and a way to download/share your pics and vids too! 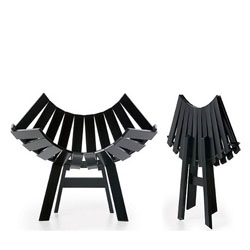 The modern take on foldable furniture are sculptural objects of outstanding aesthetic value folded or open. 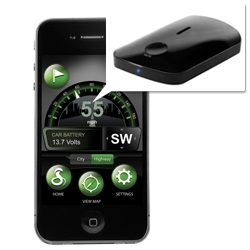 Cobra 'iRadar' combines radar/laser detection technology with the iPhone. Cobra iRadar App alerts you to speed & redlight cameras, known speed traps, dangerous intersections and detects radar & laser guns. 'The Most Powerful Colors in the World' by Colour Lovers. 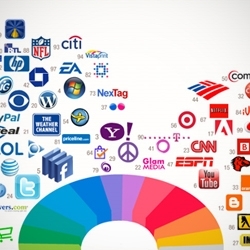 A look at the colors in the brands from the top 100 sites in the world. 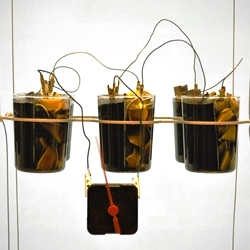 Mischer’Traxler's 'Nespresso Battery' made of 700 used coffee capsules to power clocks installed in the display window of the Nespresso Boutique in Vienna. 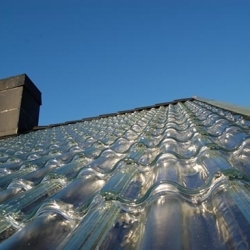 Soltech Energy has unveiled a set of gorgeous solar shingles made from glass! 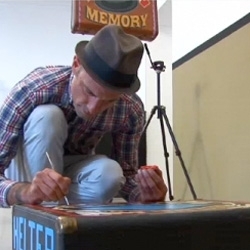 Watch this fascinating video with Beautiful Loser director and curator Aaron Rose, at the space of his gallery show in Berlin. Tian Deng's "Soft" laptop encloses the keyboard and screen in a single silicone shell. 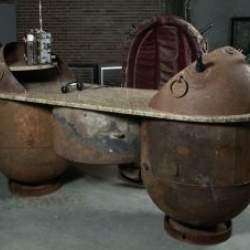 'Vesta BBQ' by Ponton. 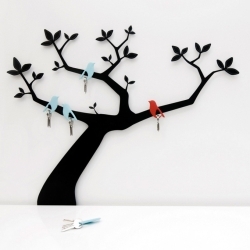 Made of heat-resistant glass and stainless steel. 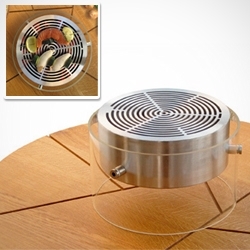 Designed to prepare a meal directly at the table using ecological burning materials. 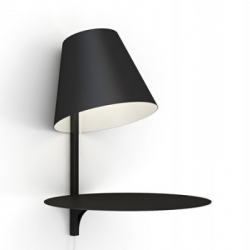 Young Mexican designer Christian Vivanco has just launched his latest project - a table light called 'Alux'. 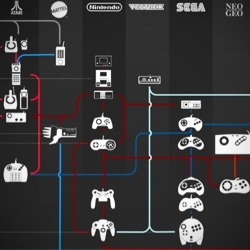 'Joypad evolution'-infographic by Steve Cable from CX Partners. 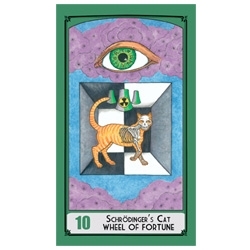 Design patterns and innovations in gaming interface design. 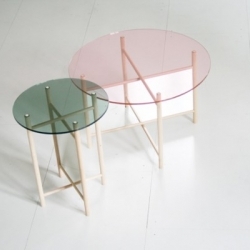 German design studio llot llov will be bringing their new side tables 'Elias and Son' to Interieur 2010 Design Biennale in Kortrijk, Belgium later this month. NY agency, MOTHER, designed & launched a series of fake businesses to celebrate their new office opening. 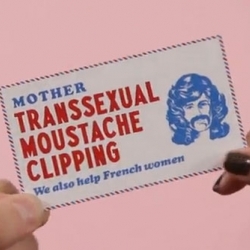 This cute video for the Transsexual Barber Shop, shot with real people on the streets of Manhattan. 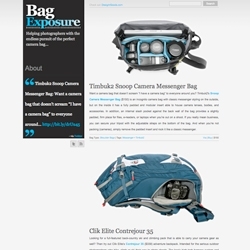 Bag Exposure is a new online magazine for photographers on the never-ending chase for the ever-elusive perfect camera bag. 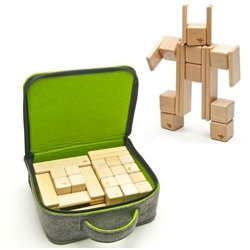 Tegu Magnetized Block MEGA Set - fun that they have a nice carrying case as well! 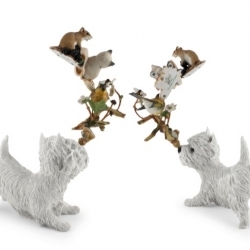 Great for kids... or desk/coffee table toy! 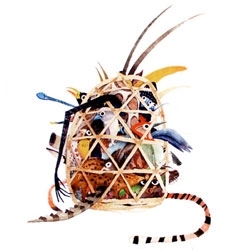 An awesome, new print by Brendan Wenzel called Wildlife of Vietnam, that benefits the Jane Goodall Foundation. The print features endangered animals from Vietnam's wildlife. 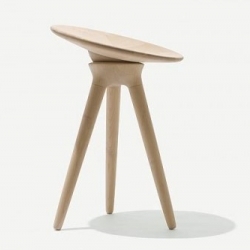 Maple stool by Line Depping is a stool in turned maple with a loose seat that is attached with a ball-and-socket joint. 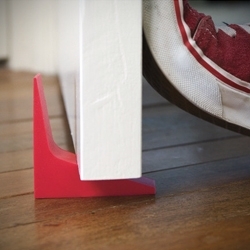 Thus, the seat moves when the user sits on it, and the purpose of the stool is to make sitting more active. Freitag's new 'F48 Hazzard' bag will feature comfortable padding, hiding straps, electronics compartments up to 17“ and tons of quick-access pockets. 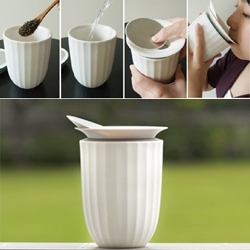 'Lotus' gaibei by Toast Living is designed to make lid-sliding simple. The double walled porcelain 'Lotus' works both as a personal cup or a teapot to share tea. Stephen Johnson presents his useless kitsch objects that can satisfy your eyes. 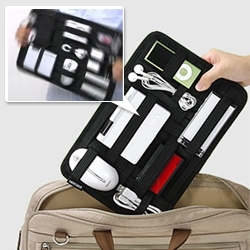 'Grid-it' by Cocoon is a threaded mat made of rubber-threaded bands running vertically and horizontally allowing you to keep your gadgets neatly organized inside your bag or office. 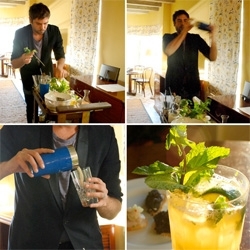 FEATUREDSoho Beach House Miami's OWC ~ One While Changing ~ awesome room service option, where the bartender (and sometimes caviar man!) roll their carts up and make you a drink! 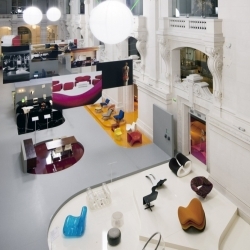 The scenery of Mobi Boom exhibition, design by Pierre Charpin. 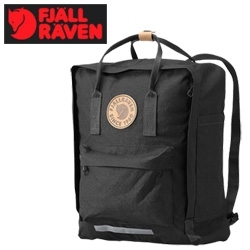 Fjällräven ~ adorable logo! 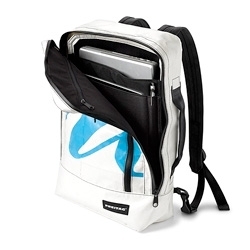 And this is thenumbered limited edition Anniversary Kånken Daypack! 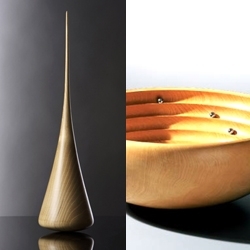 Siegfried Schreiber's wooden kinetic objects, sensual sculptures and meditation objects. High quality German wood turnings. 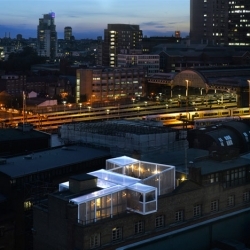 The Skyroom, a rooftop event space by David Kohn Architects perched above the Architecture Foundation’s London offices. 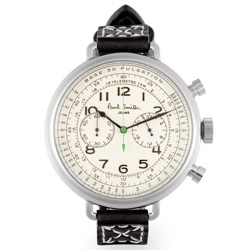 Paul Smith Watch – 1st Edition Chronograph - stunning face on this watch! 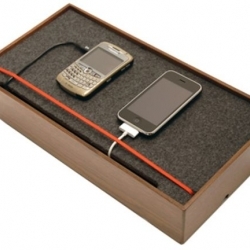 Charger box designed by Blu Dot can fill some of the gadgets at the same time, the charger box not only lets you charge your gadgets a lot in one time and in one place, but also makes you free from messy wires. 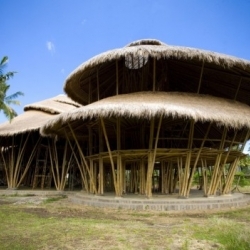 "Green school" located in Badung, Bali, Indonesia. Itl was established to motivate people for sustainable living and to show people how to build with sustainable materials, namely bamboo. 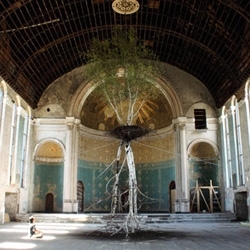 Shinji Turner-Yamamoto's Global Tree Project: Hanging Garden can now be seen in Cincinnati.